just two chords? it's basically just Eb major to Bb7 and back again. so why does it sound like so much more? video, so let's do this. changing the harmony, at least not very much. in that chord and start to drift it up or down a half step at a time. so on, all while the other chord tones stayed the same. 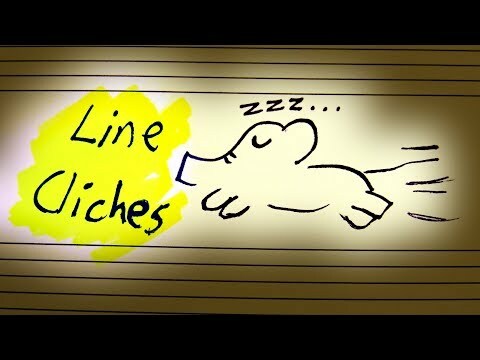 in defining how that chord sounds, we tend not to base line cliches off it. it loses too much of the chord's identity, which defeats the purpose. Eb minor and do the same things, we get this (bang) and this. moving forward, but it also feels like it's sitting still. as a brief side-note, moving a half-step at a time like this is called chromatic motion. that term will come up again later, but first, what are these actually useful for? well, the big thing is to make chords last longer. give you a way to do that without actually changing the underlying harmony. without being bound to something like a key center. for like 10 seconds, or even longer, without feeling like you've just stopped moving. dominant 7th chords really want to resolve. cycle indefinitely, moving through every possible key without ever really feeling lost. but let's go back to that thing from the beginning. time we have two lines moving away from each other. we can ignore the Eb chords at the beginning and end: they're not important right now. notes are arranged such that D is the lowest, then F, Ab, and finally Bb on top. an F and an Ab in it. we get this: (bang) which almost looks like the notes are running away from each other. but we don't have to stop there. resolution than it did before. I have a couple theories on that point. so our ears aren't expecting a sudden return to standard functional harmony. we get to the end, we still have a pretty strong resolution. not as confusing either, so that's nice. any of them you want, giving you a nice handy tool for smoothly switching keys. to actually mention it in a video. in the description if you want to check it out! there's a link to our Patreon on screen now. subscribe, and above all, keep on rockin'.